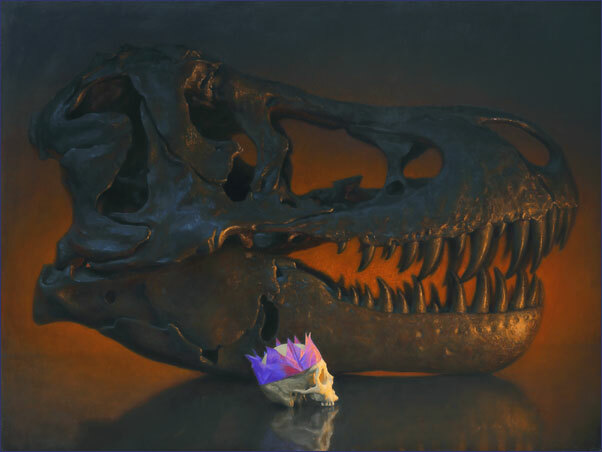 Conor is now represented in Paris by Galerie L'Oeil du Prince and will exhibit 'Rex' in a show opening September 1, 2013. 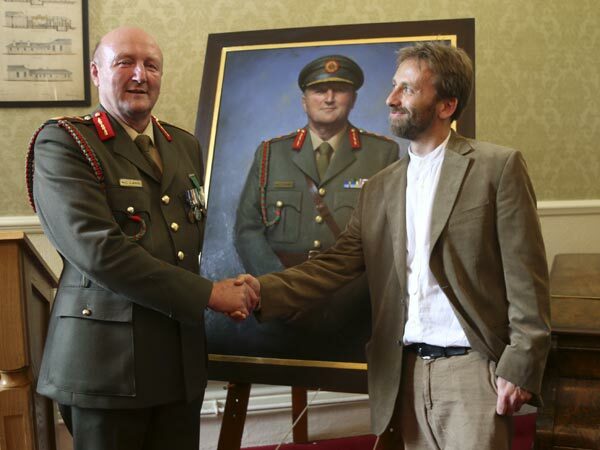 Conor Walton's portrait of Lt. Gen. Seán McCann, Chief of Staff of the Irish Defence Forces 2010 - 2013, was unveiled at the Curragh Camp, Co. Kildare. The unveiling, along with a 'stand down' parade, a flyover by the Irish Air Corps, a review of past Cavalry Corps vehicles and 'lights out' ceremony, marked the retirement of Lt. Gen McCann from the Defence Forces. 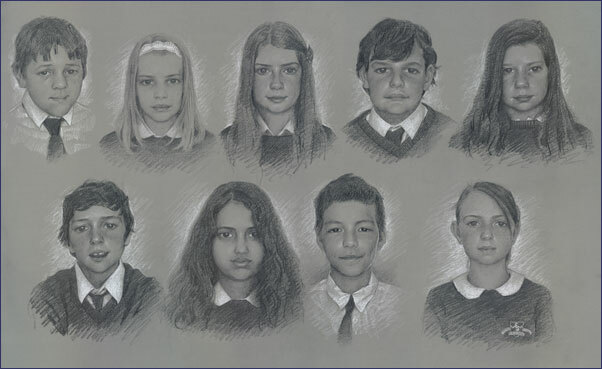 The portait will hang in the Officers' Mess in McKee Barracks, Dublin. 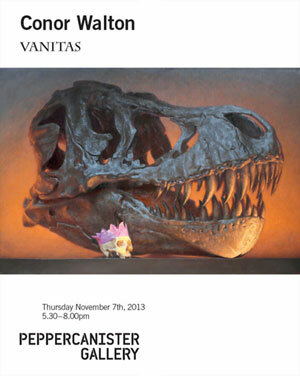 "This is a great time to be a cultural pessimist!" 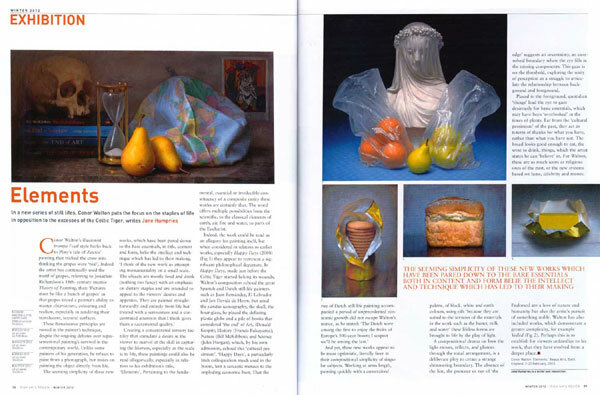 Penduline, an American magazine devoted to contemporary art and literature, featured a selection of Conor's paintings and a long interview with Conor in their June 2013 issue. 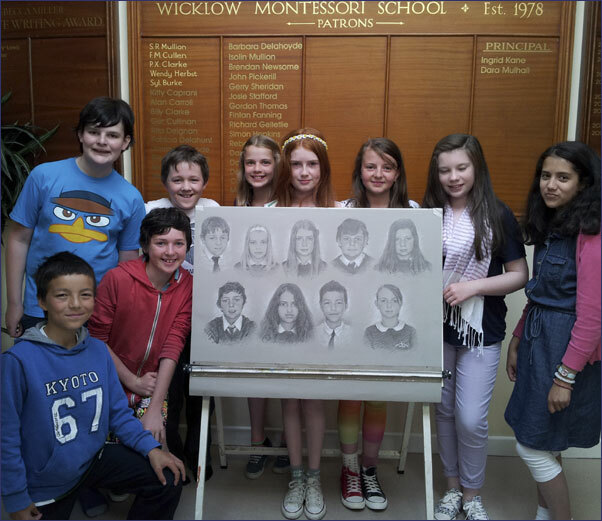 Conor's portrait drawing of Wicklow Montessori Primary School's sixth class completed in time for their graduation. 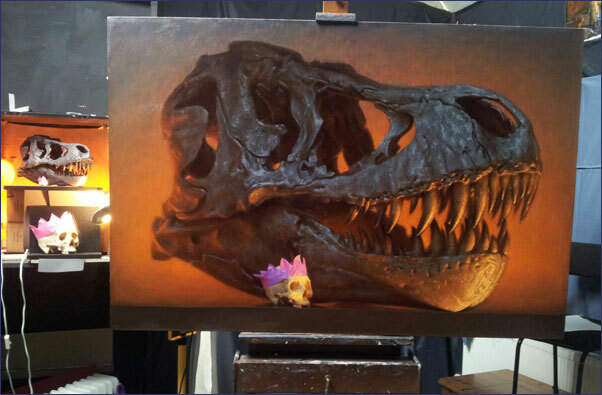 The portraits were all drawn from life and took about an hour for each head. Thanks to the children for their enthusiasm and patience in sitting. This exhibition of forty still life paintings by Conor was opened by Dr Sarah Symmons on the 2nd of February. Her speech at the opening can be viewed at right. 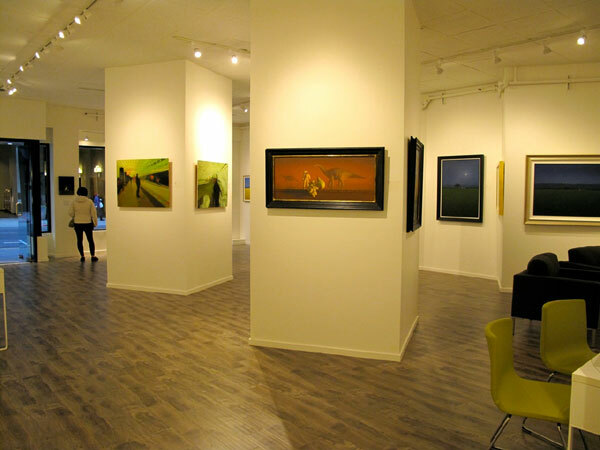 The exhibition runs until 22 Feb 2013. 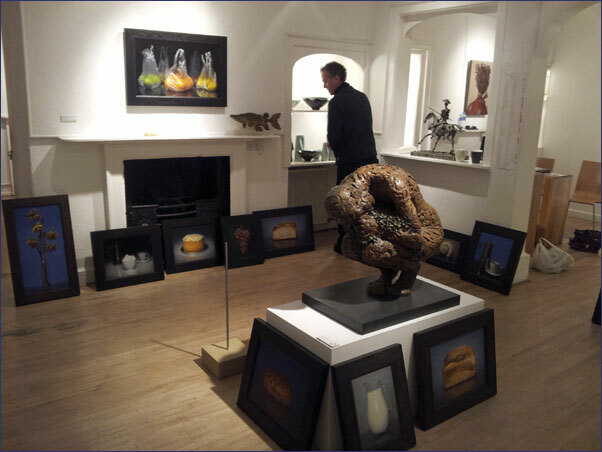 After a rough sea crossing from Ireland and a long drive, the pictures finally arrived at Beaux Arts' Bath gallery in advance of Conor's 'Elements' solo exhibition of still-life paintings. 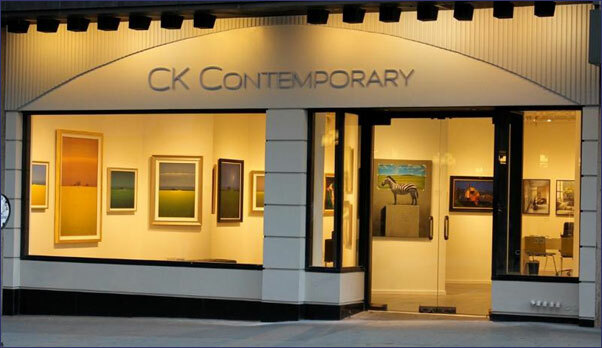 CK Contemporary's new gallery space opens at 357 Geary Street, San Francisco USA (with a couple of Conor's pictures on the wall). 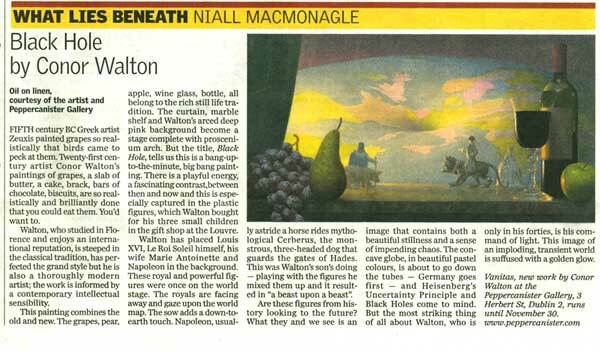 Conor Walton's opened his studio to the public on Saturday 26th January 2013. 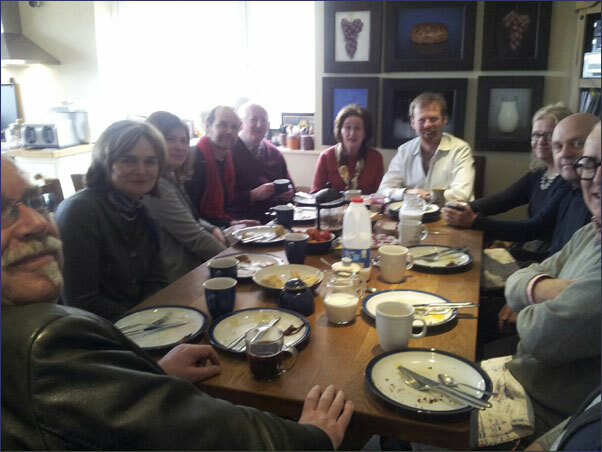 The event was well attended by artists, friends and art lovers. 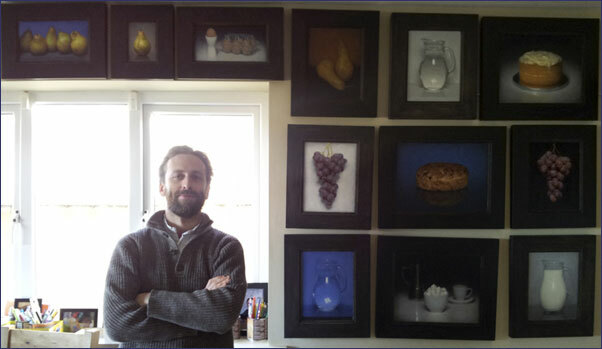 Top right: Conor and recent work.